When Derrek started using drugs, he always went to a friend’s house over the weekends, where a mother who offered a “safe place” for the five teen boys to hang out. The mom believed that they were safer at her home, rather than roaming around the neighborhood. She felt that it was better that they weren’t driving. She didn’t think marijuana was harmless. The teens started with marijuana and eventually graduated to pills. 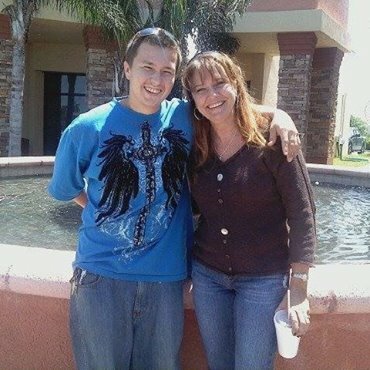 Tragically, four years before Derrek passed, this mom also lost her son. Of the original five friends, only one is living today, and he still struggles with addiction. Polewski has spent the last couple of years volunteering with Deb Comella of the Lee County Coalition for a Drug Free SWFL to support Operation Medicine Cabinet. She goes out into communities to share her story and educate individuals about what they can do to prevent prescription drug abuse in their own homes. Katie has channeled her energy into creating a non-profit organization with a goal of opening up sober homes offering life skills classes and employment opportunities. She sold Derrek’s home and used the proceeds to create the Derrek's Mission Foundation, knowing that he would have wanted it that way. Katie believes that people in recovery often feel like a fish out of water and often struggle with life skills. She wants individuals in recovery to feel supported, like someone is there for them. Polewski’s older daughter is 27 years old and also struggles with addiction. As a result, Katie now has custody of her 5-year-old grandson. Her youngest daughter has managed to steer clear of drug use and abuse and recently graduated with her Bachelor’s Degree from the University of Central Florida. She is a Certified Behavior Analyst. Informed Families is very grateful to Katie for sharing her story of loss and hope. We are also thrilled that Katie has signed up to be Informed Families’ newest Ambassador and will be delivering our 4 campaign materials to her local elementary school.